When I was a kid, I had terrible handwriting and constantly got unsatisfactory marks on my report card for my deplorable handwriting. Luckily for me today I can type everything, but I was still left with an appreciation for the ability to elegantly write words. So for this week's Friday Formation we are going to have a handwriting competition between two bands who performed this week. 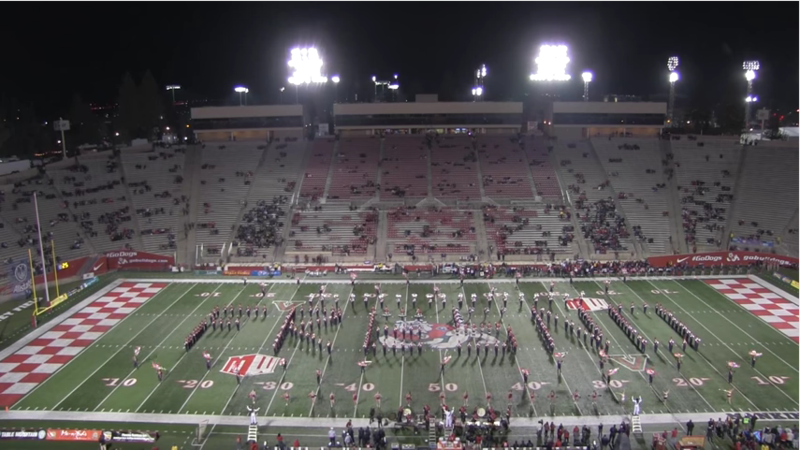 The first band is The Fresno State Bulldog Marching Band, spelling "Fresno". 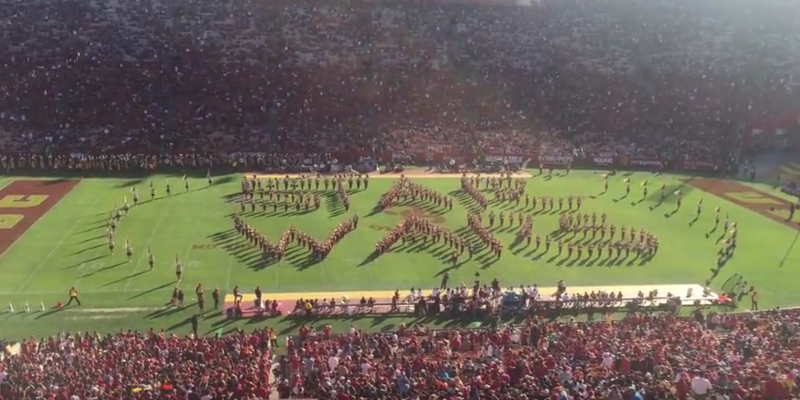 The USC Trojan Marching Band spelling "Star Wars"
Vote Now and tell us which band you think has better handwriting! Which Band Has Better Handwriting?